Rabiyatu Jalloh first visited Penn State her senior year of high school when she attended her first new student orientation weekend. Right off the bat she knew she stood out against everyone else after observing throughout the crowd. She looked around the room and noticed she was the only student of color, felt lonely and not included in anything. Jalloh is a junior studying secondary education in social studies and also African American studies. 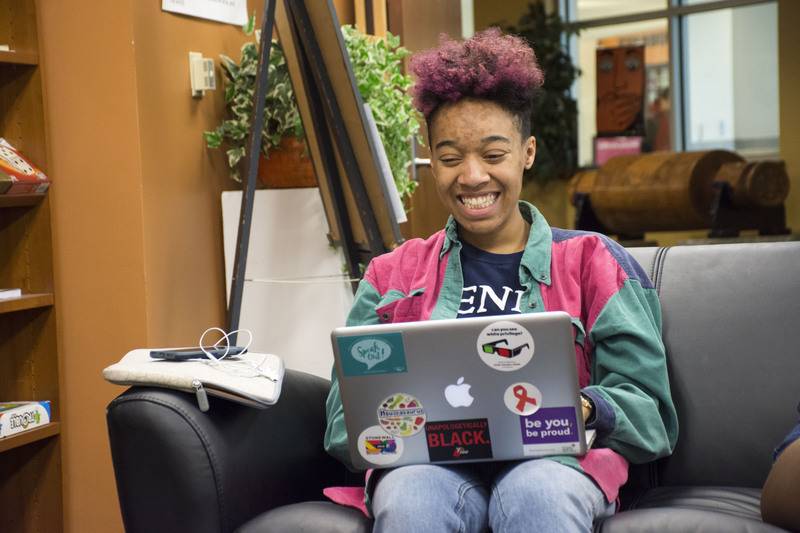 Jalloh came to Penn State from Philadelphia mainly because of the financial aid package she received but second guesses her decision, believing that students and professors at Penn State are not accepting of the different cultures and religions on campus. Jalloh talked about one instance with a professor that commented on urban neighborhoods, and felt that the language he used looked down upon communities like the ones she grew up in. “My first year in one of my sociology classes, just the way he would talk about the city and urban neighborhoods was very rude and looking down on the people or the situations in urban communities which is where I’m from,” Jalloh says. Jalloh, who believes that being Muslim has been a challenge on campus, especially after the 2017 election. “I’ve been wearing my hijab up because I’m scared for my safety. Before, I didn’t feel a specific way about it but lately there has been a lot in the news about Muslims getting killed by white supremacists and other right-wing groups,” Jalloh says. Originally from New York, the mosque that she would attend with her family was mainly attended by African-Muslims. She felt comfortable in where she practiced. When she moved to Philadelphia in the ninth grade, she did not feel welcomed at all. The African community there was much smaller, and Arabs who attended the mosque did not welcome her family. “When I moved to Philly, they would call black people “abed” which in Arabic means slave which is a derogatory term for black people. It was hard to deal with that because me and my siblings can read and write Arabic just not understand it, and in our Arabic classes they would refuse to translate the words for us,” Jalloh says. 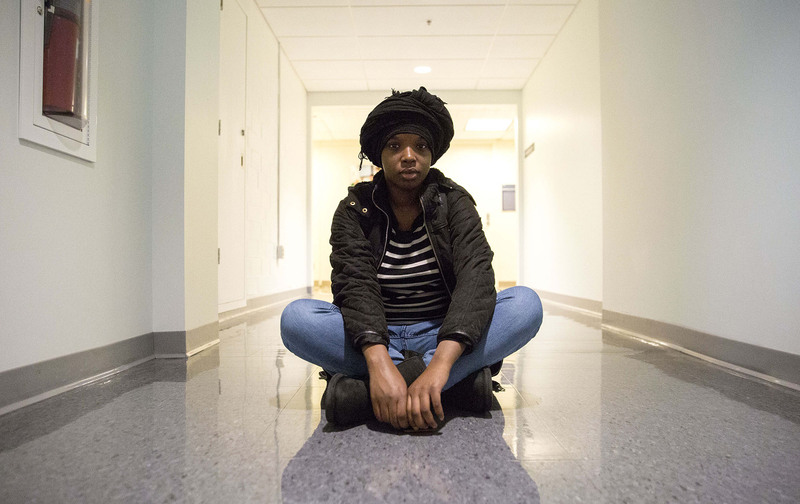 At Penn State, Jalloh wanted to join the Muslim Student Association, but she felt that they were not inclusive of black people who were also Muslims. Jalloh has always been interested in the arts since high school where she would go see shows on Broadway. She started getting into writing her senior year. After writing her first poems, she showed her aunt who discouraged her from continuing to write. “I used to write poems in middle school and also in high school and I shared it with my aunt and she told me that the poetry wasn’t good so I stopped writing. When I was a freshman, I made some friends in my dorm and my one friend Indigo, she also wrote poetry so I shared my poem with her. 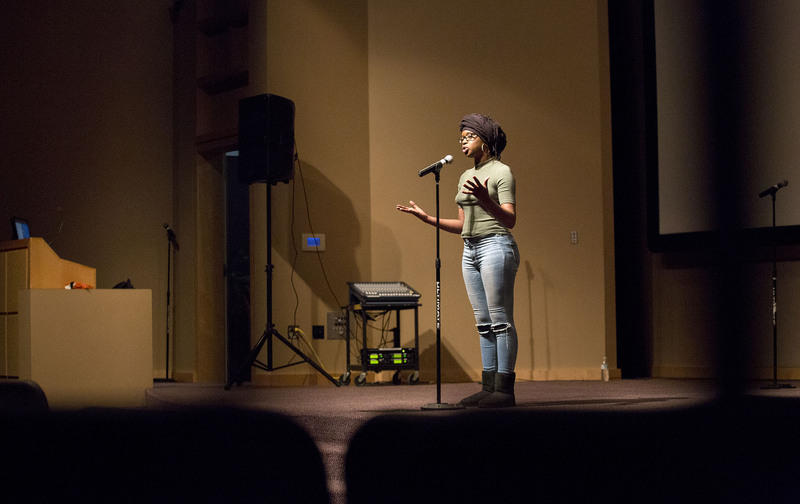 She said I was so talented and to never stop writing and basically never stop sharing my poetry, and that’s when I basically started getting into writing again,” Jalloh says. She joined W.O.R.D.S which is a group of poets that performs slam poetry in various locations. 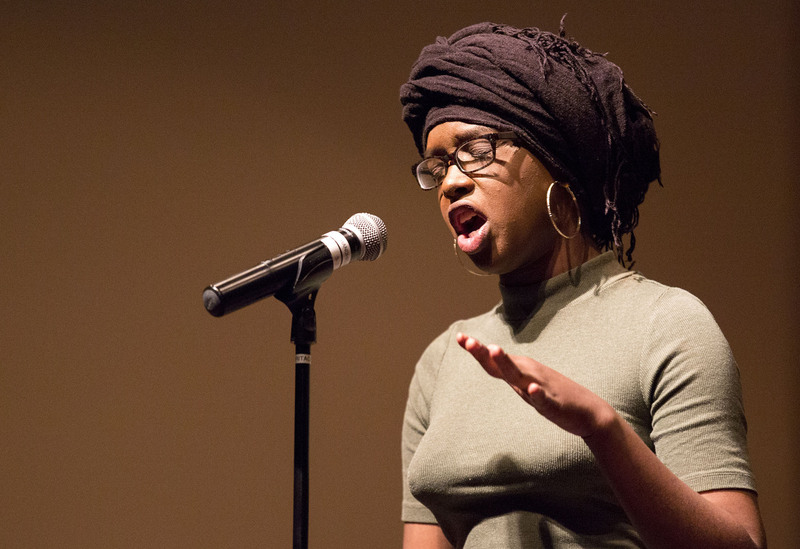 For Jalloh, her inspiration comes from other poets, poems, and also what’s going on in the world. A lot of the things she writes about are mainly conceptual, blackness and black womandhood. She has recently begun writing about herself and bringing up the past in her poems. “It’s very hard to write about yourself. I write about my experiences, but it’s very easy to write about my experience as a black woman or as a Muslim woman or an African woman, then it is to write about different things that have happened to me,” Jalloh says. She describes poems as triggering — where she tends to go into an emotional rut after bringing up certain trauma — but she also finds it therapeutic. “When you’re writing about things that have happened to you that are bad experiences, you kind of get into an emotional rut. For me, I’m a very emotional person and when I write poems that are very deep and personal, it’s like anything can make me cry,” Jalloh says. “I wrote a poem about being sexually assaulted and I performed the poem and ever since I’ve openly started talking about it, anything emotionally can set me off. It is very therapeutic because I’m talking about what happened but then it’s also very hard to deal with your emotions afterward,” she says. “Consumption” is a poem that she wrote with Nadia Souada and it critiques Muslim women having to wear hijabs. Jalloh first started wearing her hijab when she was thirteen years old but has been recently reconsidering it. “I have a different relationship with my hijab and I don’t want to wear it anymore but I feel the only reason why I’m wearing it is because of my mom. It’s not like my family is hyper religious because most people in my family don’t wear scarfs, but she’s starting to get more religious as she’s getting older so she’d be disappointed,” Jalloh says. “My dad wouldn’t because my older sister doesn’t wear it at all. In my case I chose to wear it but I feel like I didn’t make the right decision at that time, where I made a long-term decision when you’re still a child,” she says.